A lowly employee of the Department of Public Works and Highways in Bicol who had turned whistleblower and filed a plunder complaint before the Office of the Ombudsman in 2012 against 42 top executives and employees of his office is crying foul over the pressures he has been receiving. Equipment operator Roberto Canezal of the Masbate Area Equipment Service has denounced efforts by the DPWH Central Office asking him to withdraw his complaint, prompting him to appeal to the Office of the President to look into his case. “I am making this appeal as I just acted on the call of President Benigno S. Aquino III to tread the ‘Daang matuwid’,” he said. Canezal said he had long run out of courage to fight for his case due to the absence of support from top officials at the DPWH. He claimed he has to be always mobile and on-guard because of threats against his life. Canezal said Saturday that he decided to seek the help of the Philippines News Agency (PNA) as he was already suspended for 90 days from his job as a result of his refusal to back off from his complaint, aside from the threats on him. The whistleblower claimed that in August last year, DPWH lawyer Umbra Benaning from the Office of Secretary Rogelio Singson came to Masbate to see him and asked him to withdraw the plunder case against the executives and employees led by DPWH regional director Danilo Dequito. Aside from Dequito, Canezal has charged, among others, Assistant Regional Director Jesus Salmo, Legal Officer Oliver Rodulfo, Area Equipment Regional Director Antonio Ruivivar, Area Equipment Assistant Regional Director Casimiro Castaneda, DPWH Regional Construction Division Chief Godofredo Beltran, Maintenance Division Chief Antonio Saguinsin, Administrative Division Chief Flordeliza Azotea, former Masbate District Engineer Elmer Redrico, Masbate Area Equipment Chief Eddie Potestad, and DPWH Regional Personnel Officer Teodora Losantas. 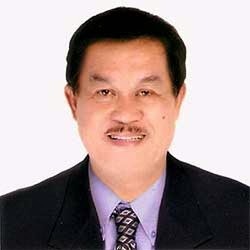 Dequito was appointed to the Bicol post in August 2010 following the election of President Aquino. He said Benaning told him that Dequito had nothing to do with his suspension, saying it was all the handiwork of the DPWH regional legal officer. Canezal said Benaning had told him that the fabricated administrative case filed against him by his superior could be withdrawn only if he would also withdraw the plunder complaint. According to him, DPWH wants the plunder case withdrawn, fearing that the agency could be dragged to the Napoles scandal involving the P10-billion pork barrel senators and congressmen. “Basta e-withdraw mo na ang kaso at tumahimik ka na lang at ‘wag nang mag-ingay pa against DPWH dahil maayos na ang takbo ng DPWH ngayon (Just withdraw the case and just be silent and don’t make noise about the DPWH because all’s is already well in the DPWH),” Canezal quoted Benaning as saying in Filipino. The DPWH employee said Benaning was accompanied by a certain Andro Santiago, also from the office of Singson. In his complaint filed with the Office of the Ombudsman on June 18, 2012, Canesal said the DPWH regional office held bidding on March 29, 2012 for the disposal of chop-chop equipment, machinery and tools declared as scrap and junk at the Masbate Area Equipment Service. The bidding included the scrap and junk materials at the Area Equipment Service offices in Catanduanes and Camarines Norte. The documents showed that Dequito awarded on March 30, 2012 the controversial scrap materials to one Benjamin Careon of IPE and Sons Equipment from Tarlac for a total bid amount of only P858,058. In his complaint, Canezal also disclosed that being the only equipment operator, he was a collector of rentals of DPWH equipment leased to contractors but the collections were allegedly pocketed by his officials and divided among a few, including him. He further revealed said that in cahoots with top regional officials in Legazpi City, a recommended procurement for rehabilitation of two drilling equipment worth P15 million was approved and the amount was collected without the delivery, saying the rehabilitation merely used recycled spare parts. He said it was a normal and regular trade at the area equipment service office to subject operational equipment to pilferage and cannibalization, then declare them as scrap and junk to effect new procurement. In early 2011, Canezal said a misunderstanding among the perpetrators erupted that he started reporting the scam to the regional office and the COA. Dequito sent an investigator named Romeo Esplana, now retired, who confirmed in his explosive investigation report in 2011 the multimillion-peso equipment scam. In a separate interview earlier with Esplana, he said the report was composed of 19 pages, backed up by 82 pages of photos, documents and witnesses’ testimony which, he said, he had officially submitted to Dequito on March 17, 2011, his assistant regional director Jesus Salmo, regional legal officer Oliver Rodulfo, and the Commission on Audit regional office. This, however, had not been acted upon until a report came out that the physical evidence supposed to be preserved had been bid out as scrap and junk on March 29, 2012 or one year later. Esplana said his report contained a strong recommendation for the creation of a fact-finding team composed of the National Bureau of Investigation, COA, DPWH, and witnesses but this was never acted upon. Canezal, who is assigned at the Masbate Area Equipment Service as the lone equipment operator for 22 years, lamented that like in the case of the four small-time Overseas Filipino Workers, his efforts to be included in the Witness Protection Program have not also been acted upon. He said he had lately received information that the administrative charge filed against him by his superior pending at the Civil Service Commission would have him convicted by dismissal from service in the absence of his witnesses who were afraid of the repercussions. He admitted that he himself was very much involved in the decade-long scam allegedly tolerated by the local office of the commission on audit. He said COA Commissioner Heidi Mendoza and Whistleblowers Association of the Philippines president Sandra Cam, including a referral letter to the Ombudsman from then Senator Panfilo Lacson, have given him the extra courage not to surrender his case.